I have to admire the tenacity of this year's winter, hanging on and refusing to go away, seemingly addicted to the spotlight now. 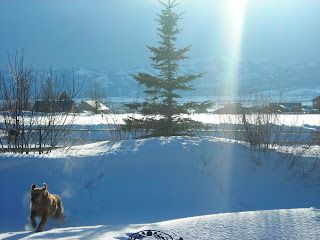 After 13 years in Teton Valley, I have a theory (high pressure, low pressure, El Nino and La Nina be dammed): there's a point where weather in the mountains simply feeds off itself. 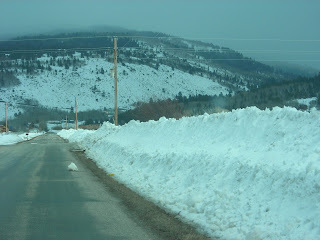 If a winter is low on snow into January, the weather just never picks up the energy it needs to produce significant snowfall. Conversely, in years like this one, once a few good storms roll in during December and January it just builds and builds. Next thing you know it's nearly the middle of April, you're still driving in blizzards, and you still have three-feet of snow in your yard. Enough! It's been a long winter for humans, and even longer for wildlife. 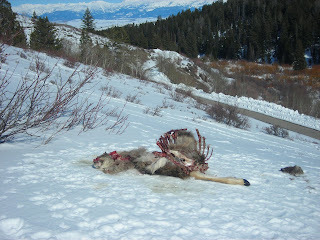 On outings the past few weeks, I've seen more deer and elk carcasses than I care to remember. Most appear to have been dragged down by wolves and coyotes, frankly, but others have just succumbed to time and the elements. We're all ready for spring. 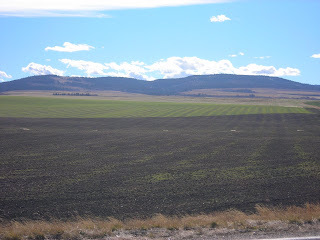 Another negative consequence to such an intense, long winter is the delayed planting of crops by local Teton Valley farmers. The growing season around here is dangerously short, even in normal years. Last year at this time, fields were all melted off and planting had begun. This year, we're still several weeks away from that, at best. If winter comes early next fall (no! ), it will be a lost farming season. When all else fails, just get out there and do something. 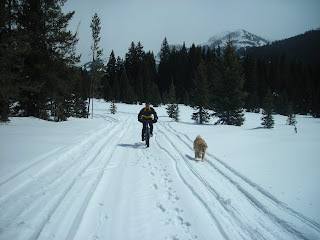 We took Bridger on a good snow bike ride last Sunday, and the weather was almost nice at times. Oh yeah...Dad: Happy 70th! !